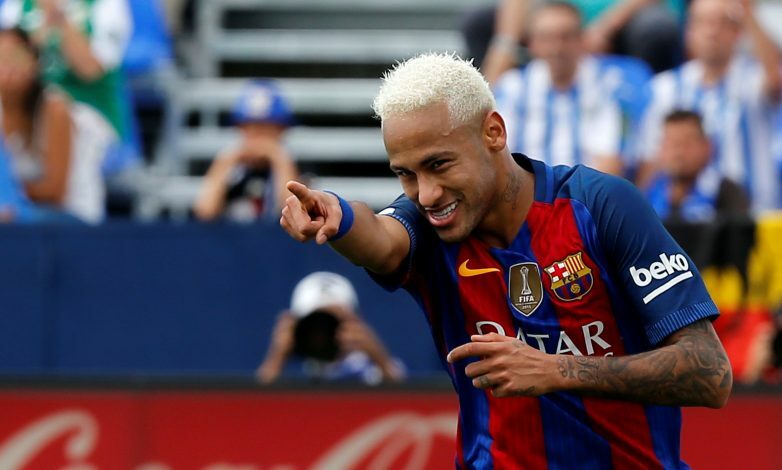 David Beckham has revealed his admiration for Barcelona superstar Neymar, and believes that the Brazilian is now ready to take over the mantle as the best player in the world from Cristiano Ronaldo and Lionel Messi. Despite being only 25 years of age, Neymar has already had a glittering career so far. He won six titles while at Santos before a big money move to Barcelona, where he has won two La Liga titles, two Copa Del Reys, a Supercopa, the UEFA Champions League, as well as the FIFA Club World Cup. He has also won the FIFA Confederations Cup for Brazil, and helped his country win Gold at the 2016 Olympics in Rio. The winger continues to go from strength to strength, and his immense talent was on full display during Barcelona’s 6-1 triumph over Paris Saint-Germain in the Champions League last 16 tie. The Catalan giants were trailing 4-0 from the first leg, and seemed down and out. However, Neymar stepped up to the plate and put in the performance of a lifetime in the second leg. He scored twice – the first, a sumptuous free-kick, and the second a penalty – in the final two minutes of the game and delivered the cross from a free-kick for that immortal Sergi Roberto winner. Beckham believes Neymar’s performance in that game will be remembered as the game he proved to one and all that he was ready to become the best player in the world. ‘It’s been clear ever since he signed for Brazilian team Santos at 17 that Neymar is an outstanding talent, a once-in-a-generation type of footballer who has fans on their feet whenever he gets the ball,’ Beckham wrote in Time Magazine. ‘I’ve always been struck by his humility. He’s respectful and wants to learn, which he proved when he arrived at Barcelona in 2013 to play alongside some of the game’s biggest stars. ‘I suspect the recent Champions League game against Paris Saint-Germain, when Neymar helped his team to an unforgettable 6-1 win, will be remembered as the moment he stepped up to take on the mantle of best player in the world.